Dakota Louis Meyer, popularly known as Dakota Meyer is a United States Marine. He was awarded the Medal of Honor for his actions during the Battle of Ganjgal in September 2009 in Afghanistan. He is the second-youngest living Medal of Honor recipient for either the Iraq War or the War in Afghanistan and the first living US Marine in 28 years to be so honored. He has over 261k followers on his Instagram. MTV aired "Being Dakota: A Teen Mom Special" on Monday where he speaks about his daughters, Sailor, and Atlee. and his ex-wife Bristol. He also confessed that he is not going to date ever again. He said, "I'm never gonna date again because I can't imagine meeting a woman that's good enough for my daughters. The standard Bristol set at being a mother is high for a woman to have to step into. She as a mom is crushing it. I'm just gonna focus on raising my girls forever, and that's gonna be it." He stated that he is focused on his daughters more than anyone or anything else and also claimed that no one can enter his life to become good enough for his daughters. What is Dakota Meyer Famous For? - The second-youngest living Medal of Honor recipient. - The ex-husband of popular television personality, Bristol Palin. Where was Dakota Meyer Born? Dakota Meyer was born on 26 June 1988. His birth name is Dakota Louis Meyer. He was born to a father, Michael Meyer, and a mother, Felicia "Killy" Gilliam. His birth place is in Columbia, Kentucky in the United States. He holds American nationality. He was born and raised in Columbia, Kentucky. He attended Green County High School. After graduating from high school, he enlisted in the Marine Corps at a recruiting station in Louisville, Kentucky and completed basic training at Marine Corps Recruit Depot Parris Island. He was deployed to Fallujah, Iraq in 2007 as a scout sniper with 3rd Battalion, 3rd Marines. He gained national attention for his actions in Afghanistan during his second deployment in Kunar Province with Embedded Training Team 2-8. He showed a great display courage on 8 September 2009 near the village of Ganjgal in Afghanistan, where he entered an area inhabited by insurgents, found his members and friends dead, killed a Taliban fighter trying to take the bodies, and moved the bodies to a safer area with the help of Afghan soldiers where they could be extracted. He personally evacuated 12 friendly wounded and provided cover for another 24 Marines and soldiers to escape likely death at the hands of a numerically superior and determined foe. For his actions, he was awarded the Medal of Honor on 15 September 2011. When a White House staffer contacted Meyer to arrange the ceremony, Meyer asked if he could have a beer with the president. He received an invitation to the White House for the afternoon before the ceremony. He attempted to commit suicide a year after the Battle of Ganjgal. He used an unloaded Glock pistol kept in his truck's glove compartment. He later sought help for post-traumatic stress disorder. Kentucky Governor Steve Beshear bestowed upon Meyer the honorary title of Kentucky Colonel in September 2011 during an event in his hometown of Greensburg in which Meyer served as grand marshal. He filed a lawsuit against his former employer, defense contractor BAE Systems. He alleged the company and his supervisor punished him for his opposition to a weapons sales to Pakistan. BAE announced in December 2011 that the parties resolved their disputes out of court. He sits on the advisory board for an organization of US military veterans dedicated to protecting African wildlife, VETPAW as of 2015. Meyer and Bing West wrote the book, Into the Fire: A Firsthand Account of the Most Extraordinary Battle in the Afghan War. The book is about the Battle of Ganjgal. The book was released in September 2012. He made a case for Army Captain William D. Swenson in his book to be awarded the Medal of Honor. Swenson was later awarded the Medal of Honor in October 2013. He competed in the 4th season of a TV competition among US military operators, Maximum Warrior in 2013. He finished in fourth place. Who is Dakota Meyer Married To? Dakota Meyer was previously married to Bristol Palin, daughter of former Alaska Governor, Sarah Palin. The couple got engaged in March 2015. They scheduled their wedding on 23 May 2015. Their wedding was called off. His wife Bristol gave birth to her second, the first child with Dakota, Sailor Grace on December 2015. Bristol has a son, Tripp Easton Mitchell Johnston-Palin from her previous relationship with Levi Johnston. Dakota filed legal documents asking for joint legal and physical custody of the newborn as well as child support from Palin. The couple reached an interim joint legal and physical custody agreement in March 2016. The couple got married in May 2016. Bristol gave birth to her third, the second child with Dakota, Atlee Bay in May 2017. He filed for divorce citing a "conflict of personalities" in January 2018. Palin confirmed in August 2018 that their divorce was finalized. 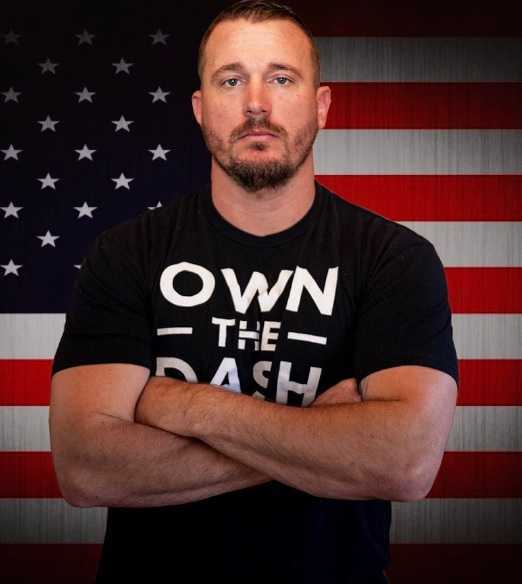 What are Dakota Meyer's Body Measurements? Dakota Meyer stands at a height of 1.85 m i.e. 6 feet and 1 inch tall. He has an athletic body build. Other information regarding his body measurements is currently unavailable. He has blue eyes and his hair color is dark brown. 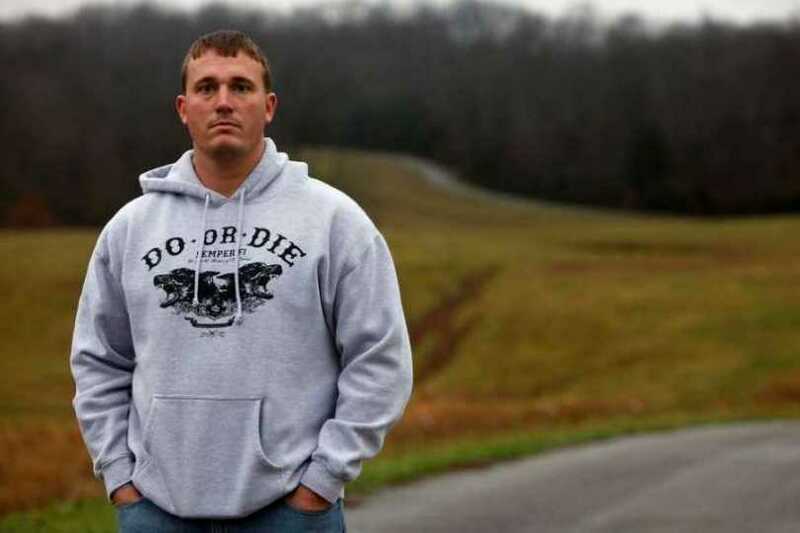 What is Dakota Meyer's Net Worth? Dakota Meyers was a former Marine who has won Medal of Honor. After his military life, he became an author and television personality. However, his net worth is currently unavailable. He is a proponent of legalizing the medical use of cannabis.